Many homeowners fear the dreaded termite. For there are few more horrific thoughts than knowing that your house is being slowly eaten by tiny insects. While most people schedule routine exterminator visits to keep their home safe from termites, few people would actually be able to identify the bug if they saw it. Consider the following descriptions of the termite to help determine if you have termites in your home. The first question most people ask when dealing with a possible termite problem is: What do termites look like? Most people who have had experience with termites describe them as white ants. They most resemble an ant in appearance and live and work as ants in colonies. Their bodies are wide from head to toe. This differs from the ant which has a narrowed mid body section. 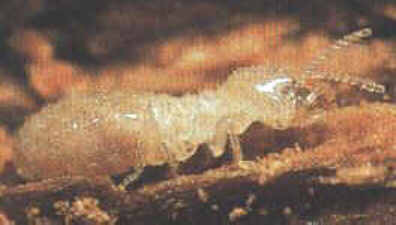 The termites are seen with light colored antennas that are straight and curve out slightly. The body of termite may range from almost clear or translucent in light to a tan or copper color when in the ground. 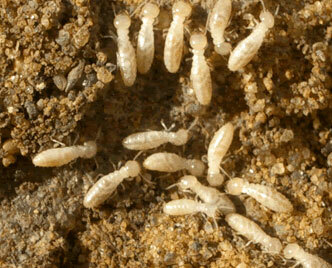 The worker termites are typically very small ranging from 3 to 6 millimeters in size. The reproducing termites are usually a little larger at 5 to 15 millimeters in size. The reproductive termites are often black and have wings for flying. Their wings are sued to fly out and begin a new colony of termites. Like with ants, the queen termite of the colony is the largest. She is also typically a little lighter than the other reproductive termites. The United State has 4 main species of termites: subterranean termites, drywood termites, dampwood termites and Formosan termites, an newer, invasive species. 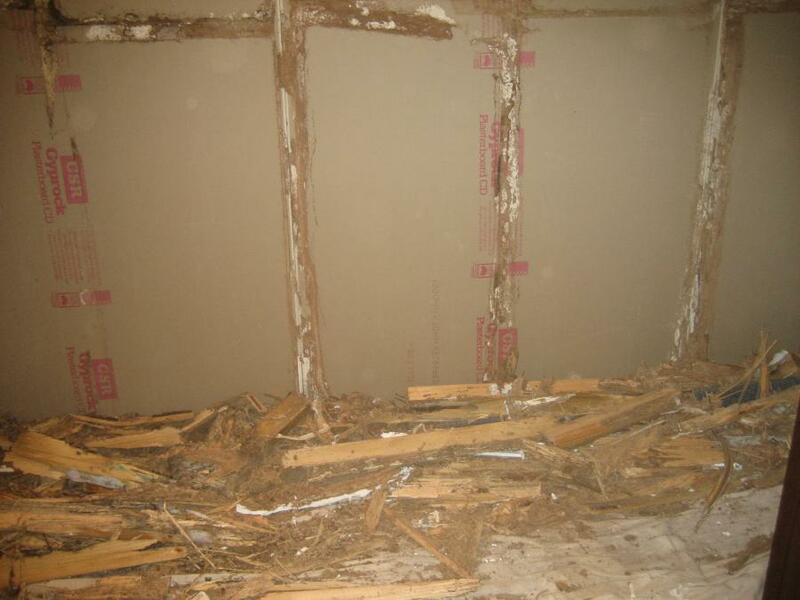 Of these, only the larger dampwood termites of the Pacific Northwest work above ground. All the other work underground or live inside the wood they eat. You are much more likely to see signs of termite damage be for you see the actual insects. If you need help identifying what species of termite you are dealing with we have a handy Termite Species Identification Guide to help sort out the differences between different termite species.